Carbot Animations has made their mark on YouTube doing cute, funny little videos based on the Blizzard properties. They’ve been successful enough that items based on their work have been featured in the Blizzard Store. (Alas, the Carbot plush zergling is no longer available.) I highlighted their World of Warcraft series about five years back. They have a new-ish series that I really like based on the original Diablo. I find the mix of their animation style, the effects and music straight from the game, and the recognizable situations from the game to be quite charming. But there was an additional aspect to this. The series was announced around BlizzCon, which ended up being a bit awkward due to the Diablo hype that was ruined by Blizzard’s Diablo Immortal announcement. It seemed like bad timing for a series based on that IP. But then Blizzard and GoG.com released a version of Diablo that would run on today’s machines, which I have mostly played through, making the timing of the series seem incredibly spot on. I am not sure I would have enjoyed it half as much if I had not just been playing the game. This entry was posted in Blizzard, entertainment, YouTube and tagged Carbot Animations, Diablo on April 14, 2019 by Wilhelm Arcturus. 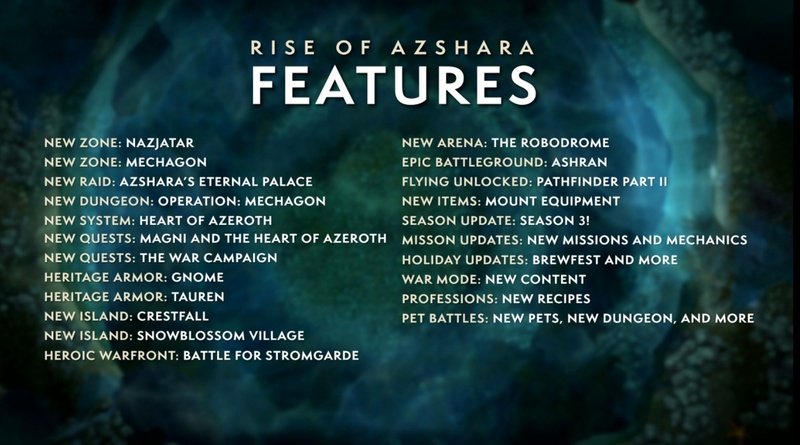 We have had the World of Warcraft 8.1.5 update in our hands for a little while now, so Blizzard has started telling us about the 8.2 update, Rise of Azshara. 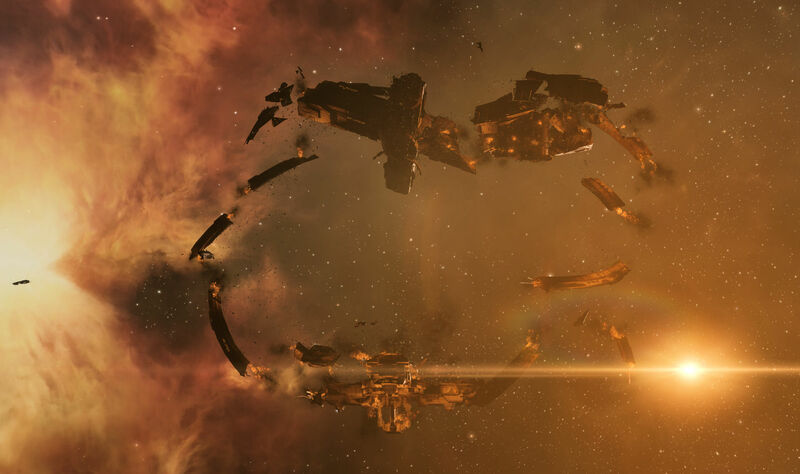 They had a half hour stream on Twitch yesterday that gave an overview of what to expect. We are slated to get a lot of things with 8.2 and a 30 minute presentation gave just a brief overview of a lot of what to expect. I have not been very engaged with the Battle for Azeroth expansion. Some aspects of it seemed almost designed to discourage and dismay all but the most determined. And, as with Legion, it wasn’t a particularly alt friendly design to get into. It is a better plan to pick one character and do all the things first. And so I have pottered about, playing then falling by the wayside off and on since the expansion dropped. But the first ray of light for alts came with this update with the announcement that the unlock for flying will be part of the 8.2 update. We knew it would be coming, though that hasn’t stopped some people from being angry it hasn’t been in since day one. 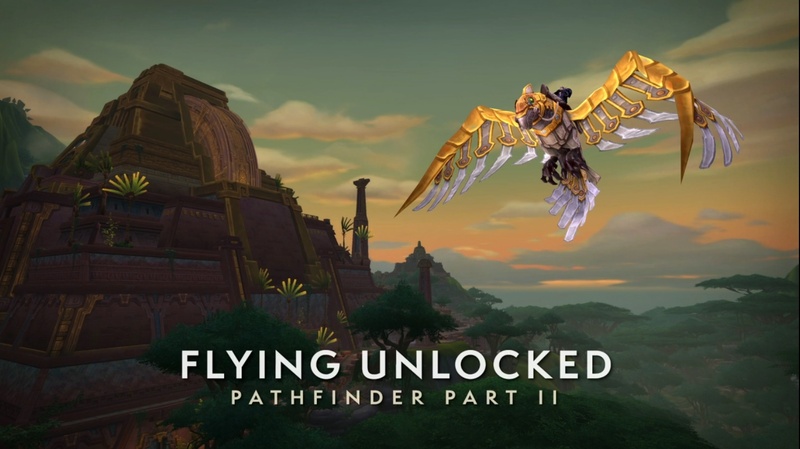 Flying will be unlocked for your account when you finish the Battle for Azeroth Pathfinder Part Two achievement. You will get that nice mechanical parrot mount pictured above for your efforts as well. As for what will be required for that achievement is not yet certain, but now I at least have a mission; get the Battle for Azeroth Pathfinder Part One achievement complete. 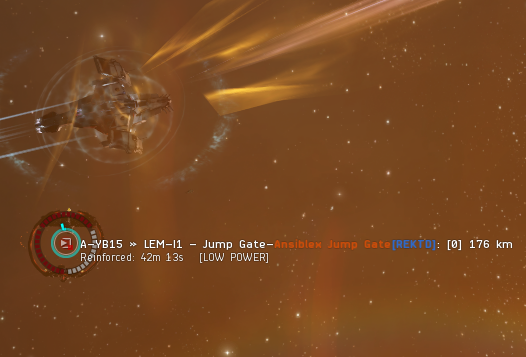 I’m lagging on that. Still, I can wrap up part one with a little effort I think. The exploration achievement is easy enough and I am only one faction shy on the diplomat front. With those, and four more war campaigns to finish for the Ready for War achievement, I will be there. 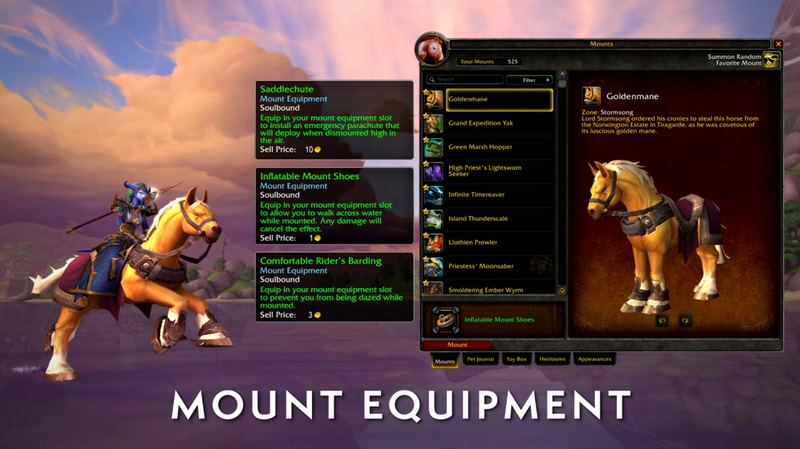 Also on the topic of mounts, the 8.2 update will also introduce an equipment slot for your mounts in order to give them a special ability. There are three options which will give all your mounts water walking, resistance to being dazed, or a parachute to deploy if you are dismounted in the air. 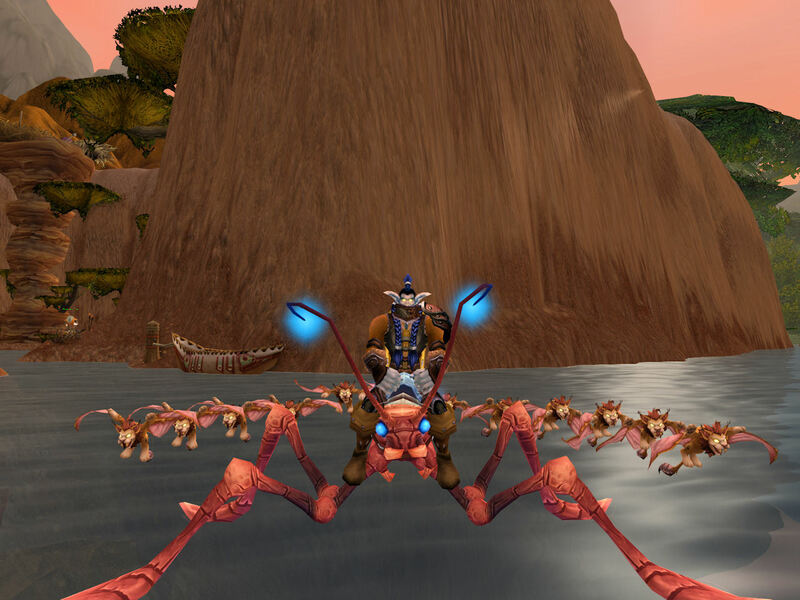 It was openly stated that this was in reaction to the Azure Water Strider mount, which has the innate ability to walk on water. 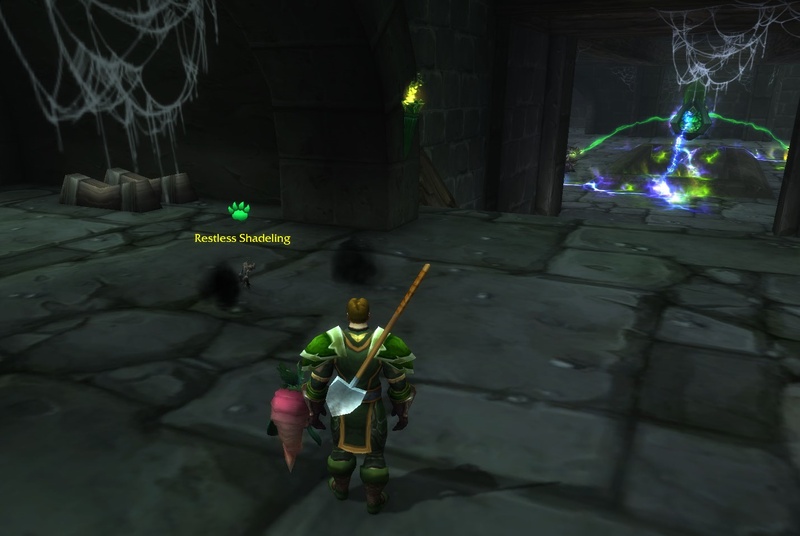 Putting this in the game during the Mists of Pandaria expansion was almost as big of a change as when they put in flying. Being able to ride on water at will is such a huge boon that I use this mount all the time, both on alts and any place where flying is not available. And apparently I am not alone. This mount gets used everywhere and I see other people on it all the time. So Blizz, realizing they let the water walking genie out of the bottle, is going to make it so any of your mounts can walk on water if you so desire. What was left out was whether or not the water strider would keep its innate regardless of what was equipped. I suspect it won’t, but if it does I don’t expect that usage of the mount will go down since you’ll be able to have water walking with that AND one of the other buffs as well. We shall see. 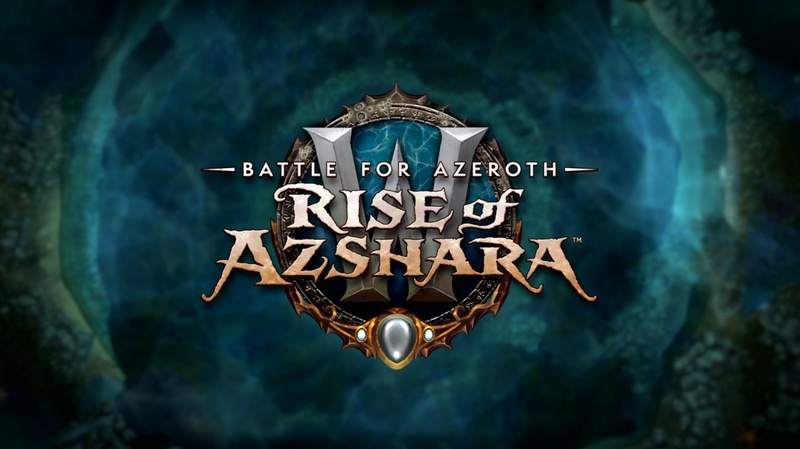 This entry was posted in entertainment, World of Warcraft and tagged Battle for Azeroth, Rise of Azshara on April 12, 2019 by Wilhelm Arcturus. 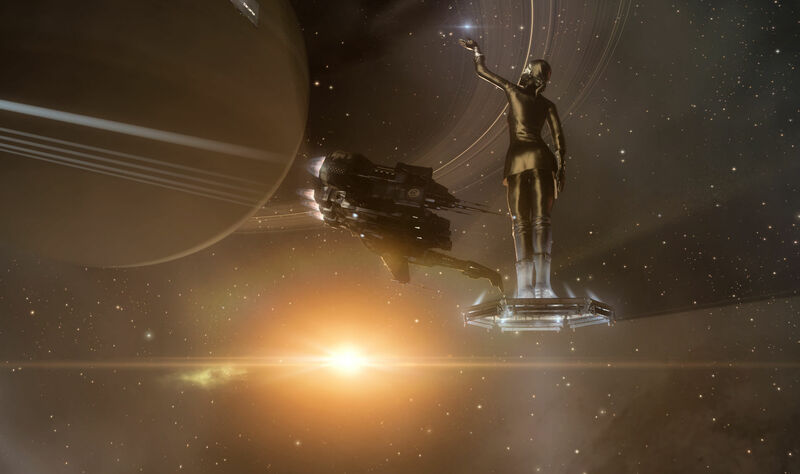 As mentioned in yesterday’s EVE Online patch notes, there is a new tourist attraction in New Eden, the monument put up to celebrate the journeys of Katia Sae. Of course I had to go visit, though I was hardly the first. 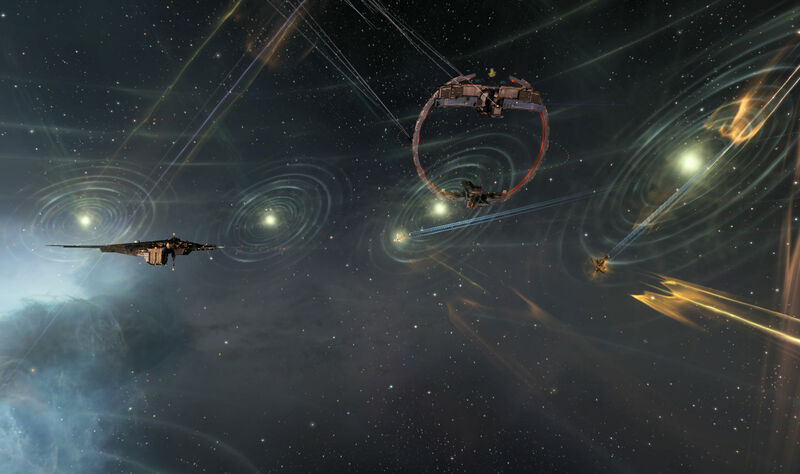 While the monument’s location in the system Saisio puts it inconveniently distant from home in Delve, I have my share of high sec alts. 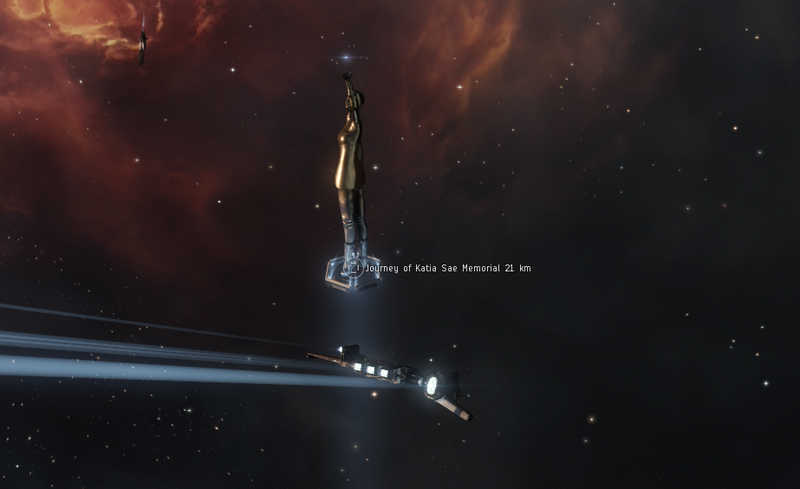 Logging an alt on in Jita put me just five jumps from there, so I hopped in a Kestrel and warped off to see this new thing in space. 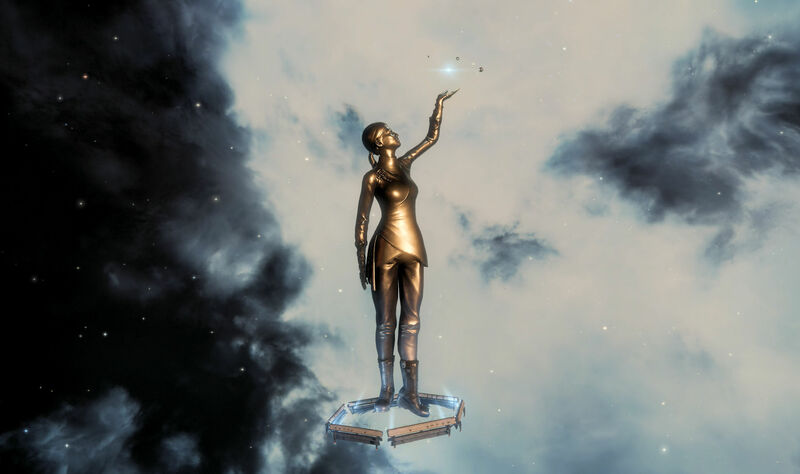 I arrived in Saisio, warped over to the Abagawa gate, and saw the monument looming in space. If you go there and miss it, it will only be because you were not looking for it. 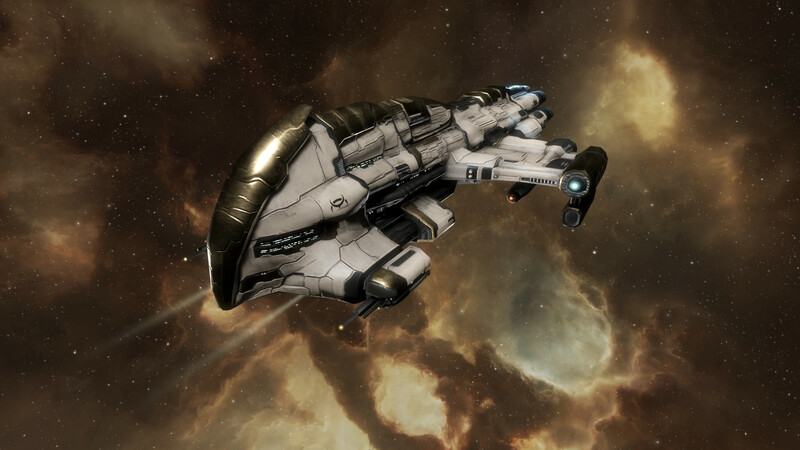 Being the tourist, I went into orbit and took some screen shots of Katia, poised in space in all her bronzed glory. 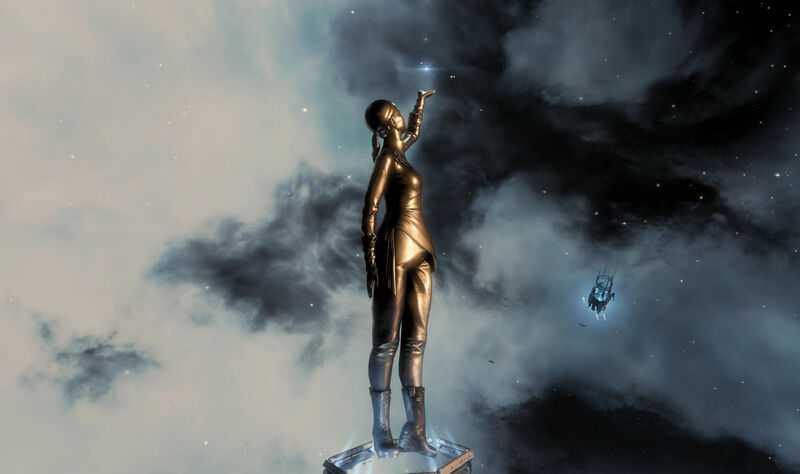 The planetary system above her upraised hand is pretty nifty, though I read that the cloaked Astero that orbits in it is, like Katia, larger than life… though not as much so. That is one way to get a sense of scale though, knowing that the frigate above her is even larger than it should be and is yet dwarfed by her. 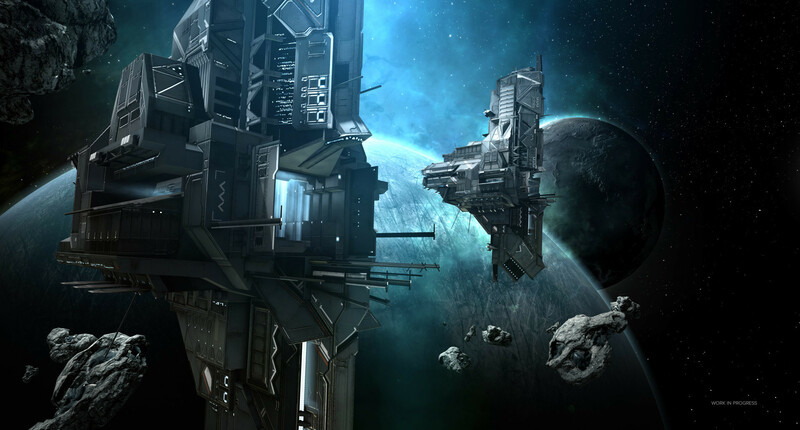 Still, space has a way of both distorting and enforcing scale via perspective. The only hitch on seeing it is that, for overview purposes, the monument is a large collidable object… and it is literally so I suppose… which is something I have hidden in most over my overview settings. There is, of course, an inscription describing the achievement celebrated by the structure and who erected it. 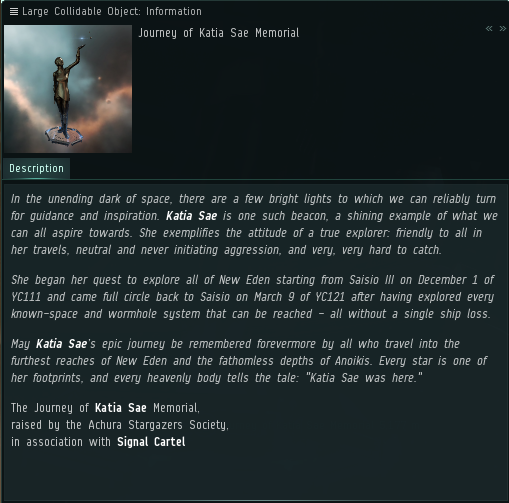 My only quibble with any of this, and it is a very minor one indeed, is the use of the word “memorial.” I realize the dictionary definition says it isn’t necessarily so, but where I come from a memorial is usually something put up to remember the dead, and the last I checked Katia Sae was still flying about very much alive. 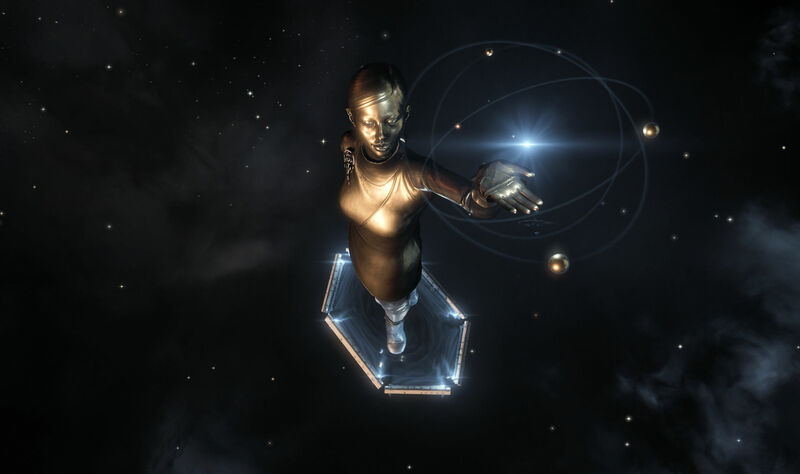 In fact, one of the stand out aspects of her achievement is that she did not die while visiting every system in New Eden. 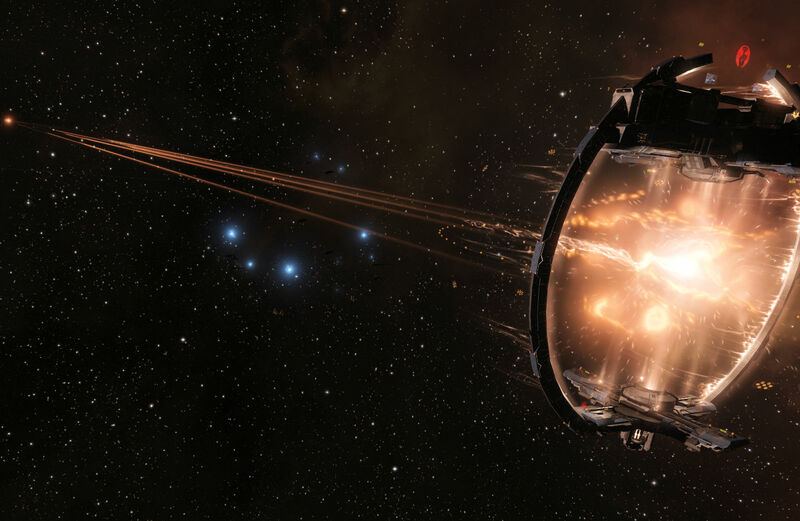 Though, when you’re a clone capsuleer rocketing through the hazards of space with your consciousness backed up an essentially immortal, pinning down what death even means is a bit of a chore on its own. Anyway, it is a fitting monument… that is the word I prefer… to an exceptional achievement. If you’re interested in reading more about her journey, I wrote a post about it which includes links out to much of the coverage the even received. 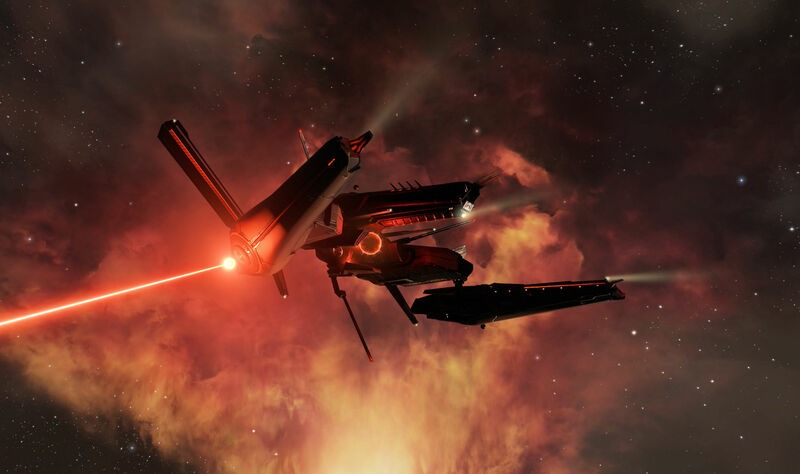 This entry was posted in entertainment, EVE Online and tagged Katia Sae, Saisio on April 10, 2019 by Wilhelm Arcturus. 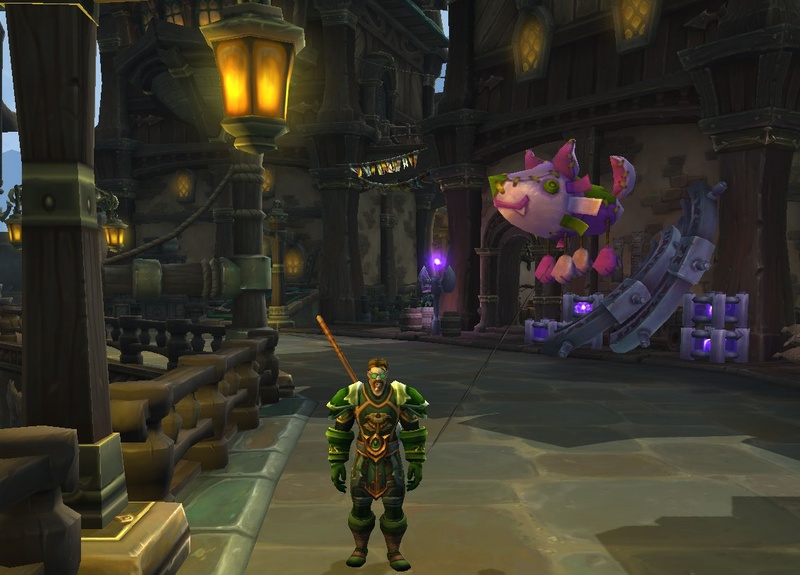 As I mentioned last week, with the pet battle experience boost running through today in World of Warcraft, it was time to get out and level up some pets. My problem was that I was running out of low level pets to run through my level up routine and, as I realized, catching new pets out in Zandalar and Kul Tiras was just adding in more level 23 pets as opposed to giving me some level 1 pets to run with. So I started working on things that would get me level 1 pets. 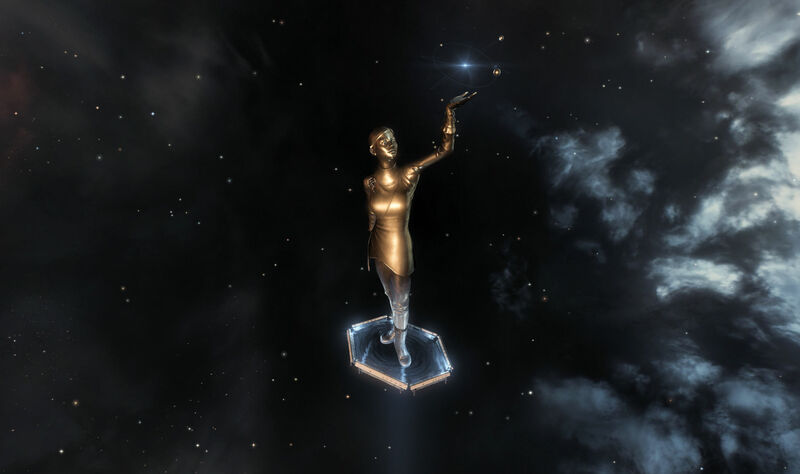 The auction house is always an option, though I am a bit of cheapskate, in part because I have never been one to accumulate gold in any serious fashion. So in the current price meta at the auction house, literally everything seems expensive to me. Still, I buckled down and bought a few of the cheaper pets I did not have. 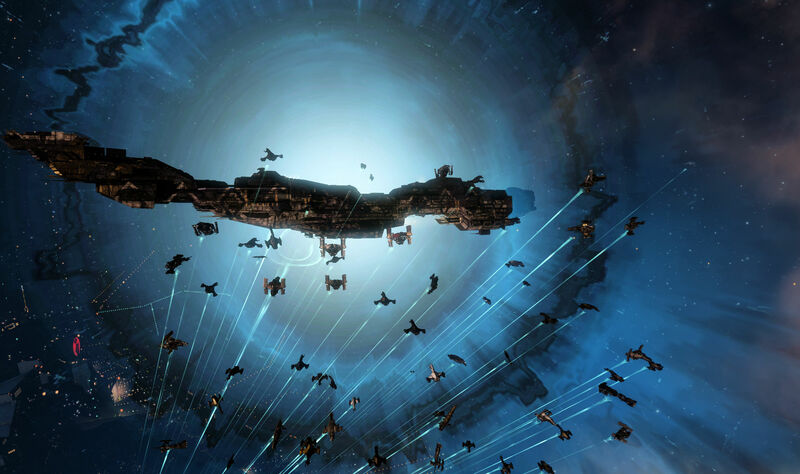 Another way forwards was via achievements. As it turned out I was just a few pets short on several of the collection achievements. So I headed out into the world to do a bit more catching. 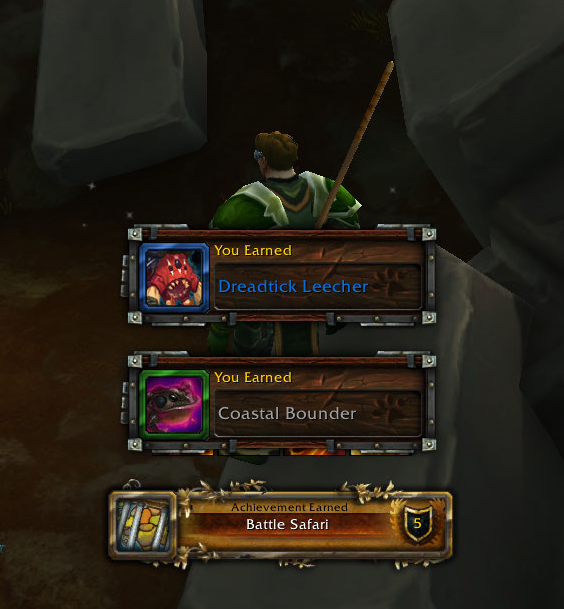 That gave me a new rare level 1, the Dreadtick Leecher. Next up on the list was the Legion collection achievement. I was a bit surprised that I didn’t have that completed as I remembered working on it specifically at one point during a past pet battle bonus event. But I still had a couple on the list, so it was off to the Broken Isles to pick up a few more pets and another achievement. 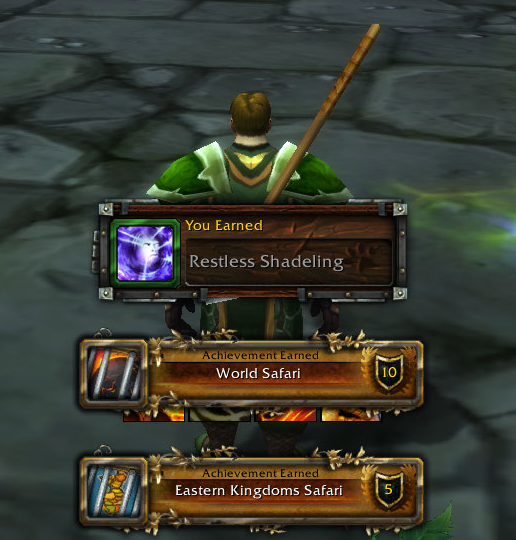 That left me with one more collection achievement, one that had eluded me before. I needed the restless shadeling from near Karazhan. I make the same mistake every time. I go to WoW Head, look it up, read the top comment, which says that it spawns only at midnight server time. Since Eldre’Thalas is a US east coast server, so I happily get in there and hang around at 9 pm Pacific time thinking it should spawn. I always forget to read down the comments to the point where it says that Blizzard changed this so that restless shadelings start to spawn at midnight Pacific time, so I am usually hanging around there for nothing three hours early. And I did that again. This time however, when 9pm came and went I looked the whole thing up again and decided I was just going to stay up and catch it. Staying up until midnight doesn’t sound like a big deal, but my life is currently skewed towards getting up at 5am, so I am usually quite drowsy past 10pm these days. Getting old is no fun. But my patience was rewarded. I was actually a bit annoyed because the first one I spotted at midnight was positioned in such a way that I could not open a battle with it. But there were more down the way and, being just level 17, they show up solo rather than getting two partners, so they are easy enough to catch. I got one, and the double achievements for finally bringing that guy home. That got me lined up with some fresh pets to work with. 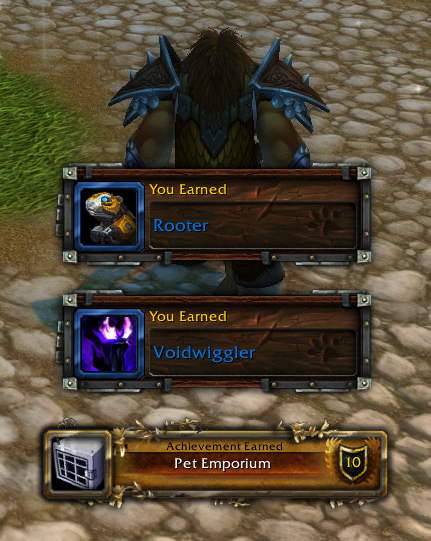 But at that point I noticed I was closing in on yet another achievement, the one for collecting 800 pets… which, of course gets you another pet. 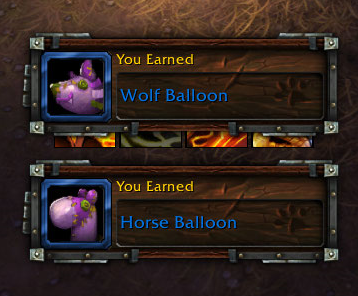 I wasn’t far off and, as it turned out there were three new pets to buy at Darkmoon Faire, added with the recent 8.1.5 patch, so when Sunday rolled around I immediately found the vendor… they are balloon pets, so the balloon vendor has them… and bought all three. I have a stock of prize tickets for just this sort of thing. The balloon pets are fun as they do, in fact, appear around you as though you are holding a balloon. That left me just a few pets shy of 800, so I got out an alt that had some gold on them and bought up some more from the auction house. That was enough to get me over the top. 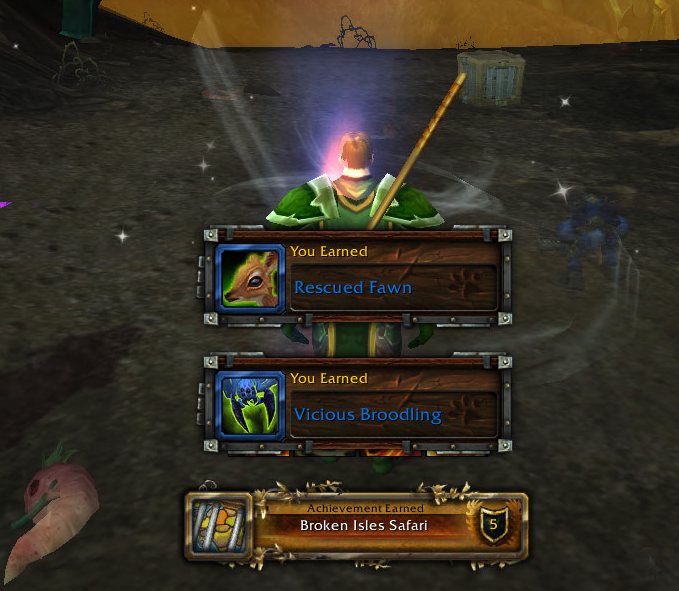 The count in the Rematch addon was off by a bit, so I actually bought a few more battle pets than I needed to. At least that gets me closer to the next achievement, which is for 1,000. As of now my count stands at 806, which seems like a long way from 1,000. But then again, 800 seemed a long way away when I made it to 600, and Blizz keeps adding pets to the game. Anyway, that was what I did with my gaming time this weekend. 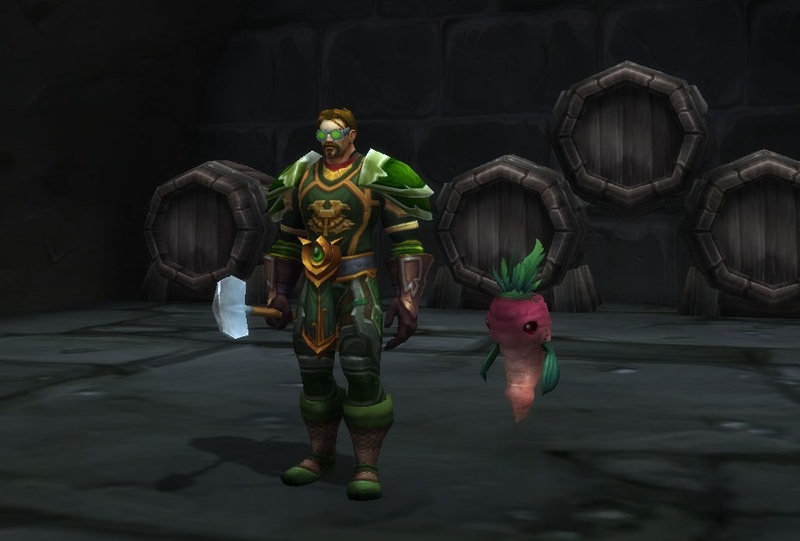 This entry was posted in entertainment, World of Warcraft and tagged Pet Battles on April 8, 2019 by Wilhelm Arcturus.